With more than 20 years experience in the sector, Yenar have a state of the art production plant on an area of 40,000 m2, of which 18,000 m2 is covered. Domestic and global leaders since 1995, Yenar's equipment range includes rolls manufactured using the most up to date technology by means of the double pour centrifugal casting method. These rolls are in demand in many food sectors. 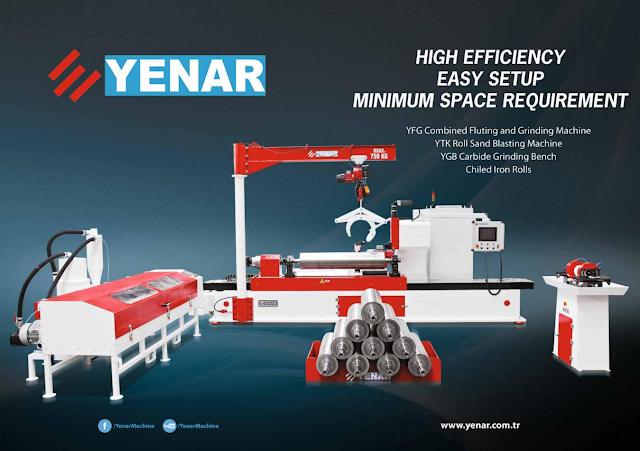 Manufacturing 22,000 units annually of various diameters and lengths as of 2014, Yenar is the fastest growing Turkish company in the sector, supplying hundreds of food sector producers in both domestic and foreign markets by means of professional sales teams.